Music these days is fleeting. Artists pour months into a project only for it to be picked apart by people like us who may not have spent enough time with the album, so this review is coming from someone who has only been spinning Childish Gambino's sophomore effort "Because the Internet" for a little over a week. The premise is that the internet is everything these days, which is true. But giving that name to this album might be Mr. Glover's undoing. 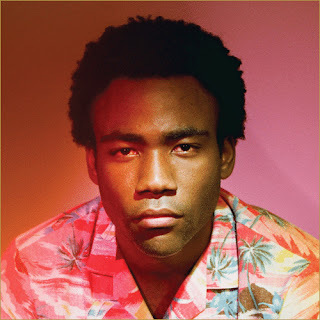 His ability as a lyricist was never in doubt, but Childish Gambino's music consistently suffers from the fact that he truly has not found himself yet as an artist. Being able to rap is one thing, but developing your own unique sound as you grow is something every rapper must find in order to get the respect you seek. "Because the Internet" is ambitious, but it has no clear direction. The majority of the tracks are attempts to come up with a sound that's all his own, but far too often does he end up sounding like his inspirations. "The Party" draws parallels to a sound that Andre 3000 popularized, while "No Exit" and "3005" have moments that are nearly mimicking Kendrick Lamar. His insecurities are evident across every project he has ever released. On "Camp," Gambino speaks on the issues he had growing up and being called gay, or the fact he was never black enough, so on "Royalty" he went ALL black and catered strictly to the crowd that bashed him. After that mixtape, naysayers said he had too many features and that it didn't sound original, so he tried to experiment more with this latest project. The result is not a terrible album, but it is very, very forgettable. Die-hards won't be swayed, but this project is not winning him any new fans. ...Because the internet, no one will be listening to this album in 2014. Hit us up @BestInTheMix @TwonJonson and let us know what you think!